Whether you’re looking for a gift for your boyfriend or girlfriend or maybe a gift for a newly engaged or married couple, matching leather bracelets are a great way to show your love. There’s a lot of different options for you to choose from. 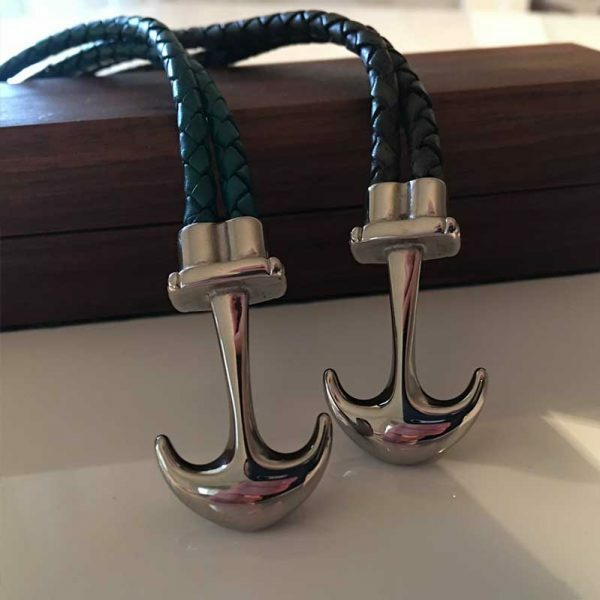 There’s personalized, anchor bracelets or simple, matching pieces of jewelry. Matching necklaces for couples or rings have always been popular but sometimes bracelets can be overlooked. They make a great gift or a surprise for your partner. They can be subtle with gold foil engravings on box like ” I love you” or they can be more obvious with inscriptions like “Name & Name” and your special date. There’s also different colors to choose from. Choose from the images below. There’s leather with titanium, stainless steel or silver clasps. Do you need to get a gift for a newly engaged couple or for friends who are in a relationship? We’ve got some great ideas for gifts for couples.